Sannitree is proud to mention that we have been supporting a worthwhile organisation called the SA Riding for the Disabled Association (SARDA). 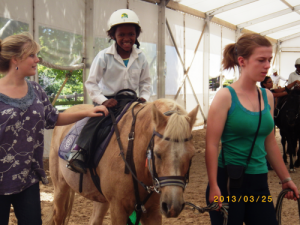 SARDA provide therapeutic horse-riding for disabled people, and as those who have witnessed a session attest, the experience opens up a whole new world for them! 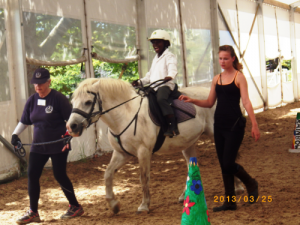 This recreational horse riding adds value in all aspects of their mental, physical and social lives, and only exists as a result of selfless teamwork between the instructors and helpers, who volunteer their time and knowledge. Sannitree volunteered by providing a free sanitation system after the need urgently arose. Below are a few photos of the participants on horses.